That I. M. Pei building is home to the National Center for Atmospheric Research, NCAR, including the Mesa Lab Visitor Center, which features free exhibits about weather and climate and is open daily. They also let anyone traverse the steep, winding and scenic road to the lab from 6:30 am until dark, weather permitting. This allows bicyclists, runners, pedestrians, photographers and general nature lovers (including dog-walkers, as long as those dogs remain on the leash) to explore and enjoy this lovely mountain sanctuary. Statistics show that Table Mesa neighborhood Boulder homeowners have average household incomes significantly higher than the Boulder average. However, the average estimated value of Table Mesa South detached homes in 2010 was nearly $90,000 lower than the average Boulder house. It’s therefore not surprising that the Table Mesa real estate scene is hot, with 6 active listings, 7 houses under contract, and 42 homes sold within the past 6 months. This means that, if no new homes were to come on the market, existing inventory would be gone in under two months. So if you’re thinking about purchasing in this desirable area, you won’t want to drag your feet. Homes for rent in the Table Mesa neighborhood Boulder are equally in high demand. Rental homes in Table Mesa consistently command much higher rental rates than other neighborhoods of Boulder. When homes are listed for rent in Table Mesa we are seeing them snatched up within days. One of the reasons for the tight rental market in Table Mesa is the lack of apartment rental inventory. There are very few apartments in the Table Mesa area. 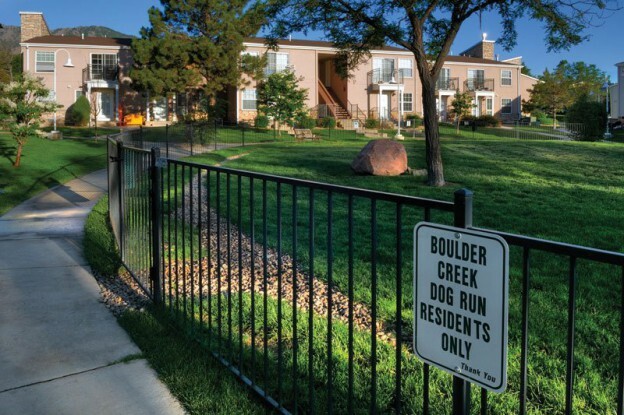 The largest apartment community in the Table Mesa area is Boulder Creek Apartments. Here you will find one bedroom apartments and townhomes rental ranges ranging from $1254 to over $2400 per month. Two bedroom apartment homes in the rent range of $1600 per month to over $3,000 per month. The overall vacancy rate in Table Mesa is less than 2%. (rental statistics as of the time of this post). The Table Mesa neighborhood Boulder is recognized as a neighborhood with stunning Colorado scenery, excellent schools, outstanding access to trails and outdoor recreation, and great proximity to the University of Colorado, downtown Boulder, and easy access to major transportation routes to Golden and Denver. Statistics show that Table Mesa can be a more expensive part of Boulder for renters and home-owners alike, and that there is a limited supply of housing available in this part of town. For newcomers, you will need to be patient to find your ideal home in Table Mesa. Our Boulder Realtors can help you track the real estate market in Table Mesa to find your dream home. And our Boulder rental specialists can help you track the rental market in Table Mesa. Either way, we’ve got you covered! Homes here are going fast, so let Housing Helpers find you the perfect home in Table Mesa today. This entry was posted in Boulder and tagged Boulder Creek Apartments, Boulder Real Estate, Boulder Real Estate Market, Boulder Rental Market, South Boulder, Table Mesa on September 9, 2013 by Stephanie Iannone.